Last week, Dave & I got the chance to sneak away to the National Gallery of Art for an afternoon. We don't seem to enjoy the city's museums nearly enough so when we have vacations at home, we try to get in to see one. ...When viewed with a mirror under the painting - which is how they had it set up- you can spy the funny face made entirely out of veggies of "the cook:"
There were a few of these & I loved seeing them, many of them fairly grotesque (which for some reason I really love... remember my old men on the Da Vinci wall?) with things like plucked chickens for a noze or cheek. yuck. 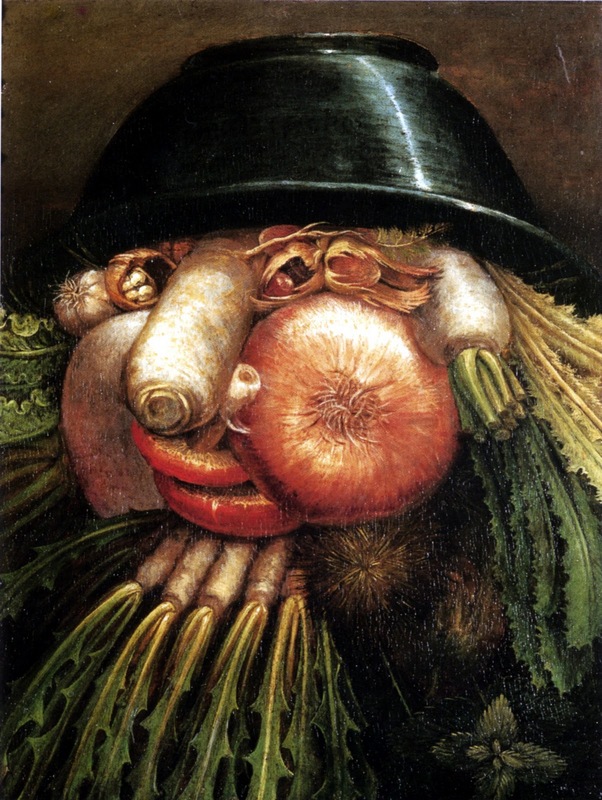 I loved Arcimboldo's cheeky take on people. His art is not beautiful in the traditional sense but it makes me smile and they are definitely conversation pieces. I also just love nature and seeing people made out of bits of it is a fun surprise. My absolute favorite part of the exhibit, however, were the volumes of botanicals and animal books (there must be a better word, but I can't think of it right now ;) they had under glass around the exhibit. They were incredibly beautiful. Seriously I was going crazy. I want ever single one of those books. 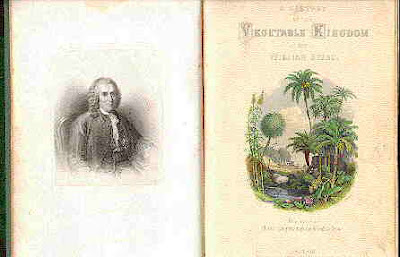 I never really realized how many botanical books must really be out there. We tend to see the same ones reproduced over & over but there so many more out there. I wrote every single one of them down and plan to do some research and wee which, if any, have been reproduced. 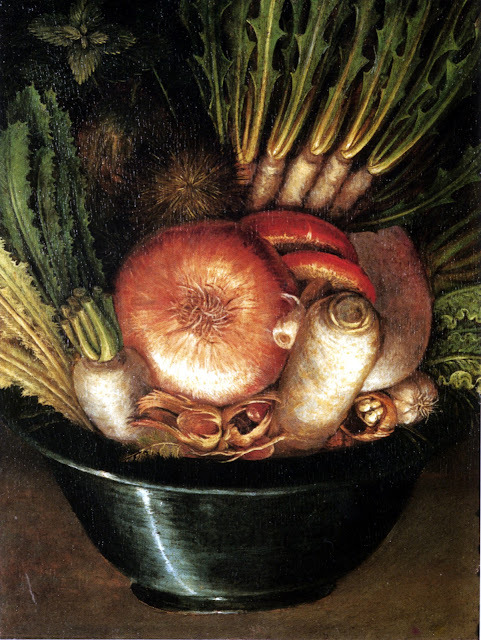 They were so old (1500s-1600s) yet still so vibrant, many of them done with watercolor & gouache. Anyway, I'm off to start the day. We had such a realxing vacation & I pretty much finished up plans for my DC Design House proposal. Now I just need to do the design board. I also put together a portfolio of my work(using blurb.com) because they want to see a porfolio for any new designers. I really liked working with the blurb program and am pretty happy with the results, but the photos came out a little yellowy (All of my funky greens look a little too yellow and are a bit off.) and so if I'd had more time, I'd try to figure out from blurb what was up with that. Have a great day and happy new year!!! What a fun date! I love portraiture; it might be my favorite kind of art, and I don't think it gets nearly the attention it deserves. Do you ever go to the National Portrait Gallery? It's my favorite of the Smithsonians! Now that's some funky art! It's great to see something interesting and new, thanks for posting it. I'm looking forward to seeing what you do in this design house! Those are insane - can you imagine the time it must have taken? Glad you had a relaxing holiday and I must check out this blub.com. New to me - thanks! Best wishes for every success in 2011! I've never known the story of the artist behind those paintings. 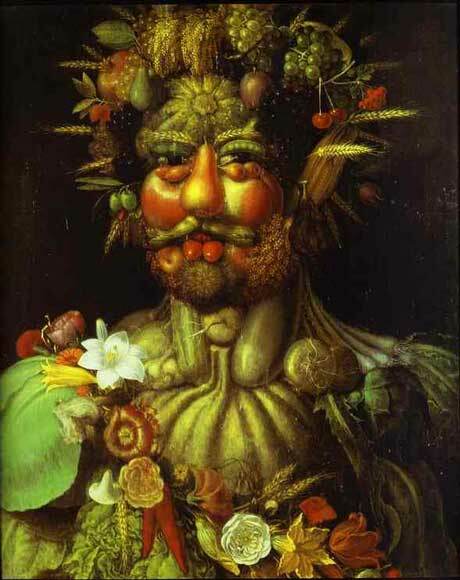 Thanks for giving us the background on Guiseppe Arcimboldo, his paintings are amazing! So creative. Can't wait to hear how the DC Design House proposal goes. I'm sure 2011 will a lot in store for you! I had never heard of this guy so I'm glad you introduced him to us. I love his art work, can you imagine how his mind must have worked? He was talented in more ways then one. What a fun afternoon...fascinating pieces. Happy New Year Lauren!! A wonderful post about an artist who excelled in imagination. 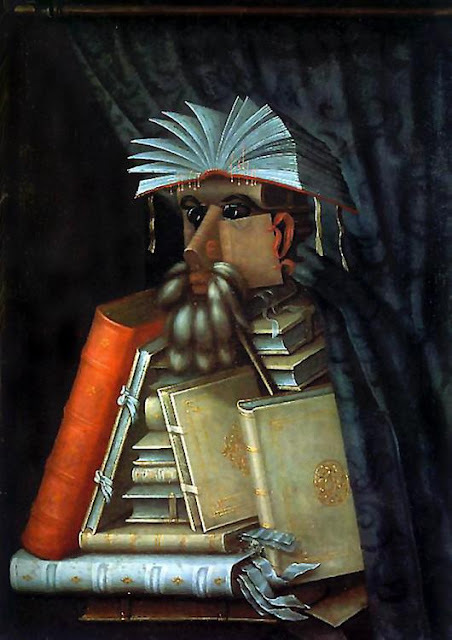 I have always loved Arcimboldo. When I was teaching high school art I introduced him to the students with a Arcimboldo project. They loved it! 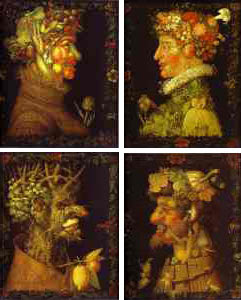 Their work was quite stiking, and I bet they still remember Arcimboldo even thought it's been at least 10 years. Love your blog. Love it! So glad that you were able to get away for a few hours and go to a museum! I bet your boys would make great artists! There is nothing like visiting a museum for inspiration and all the best with the design house process!! love DC. that's great you guys had a chance to get away for a bit! So cool! I love getting in to the city. And when I can, I always pick up old botanical books! I love to find them or at least pages from them. I also make my own using ferns inside vintage frames every year. How fabulous!! Just a fascinating post about your museum trip. I will definitely get down to see that exhibit. Thanks so much for alerting me to it!! Haha! You have discovered one of the most wonderful artists ever. I did a kitchen and used huge print so his work and it is fabulous. His art will remain with you for a lifetime. You lucky girl!